Brian Ghidinelli and I sit down at the Indianapolis Motor Speedway, while at the SCCA Runoffs, and we talk about left-foot-braking, driving a Spec Miata fast, how to learn a new track quickly, and the state of the sport – is participation increasing or decreasing, and why. Brian is the founder of MotorsportReg.com, the leading motorsport event registration site, as well as Race Hero, the timing and scoring app. 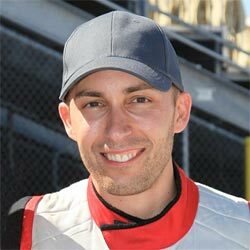 Connect with Brian through MotorsportReg.com and RaceHero.io, as well as @ghidinelli on Twitter and at www.facebook.com/ghidinelli. Great podcast. I always learn something from these podcasts that helps me either on the track or getting ready to be ‘on the track’ and this episode is no different. Really liked the idea of playing just the sounds of a lap while doing mental imagery exercises and already put it to use. It you want to improve your driving, whether racing or HPDE, listen to Ross’s podcasts. This was so interesting. Thank you for sharing!! !